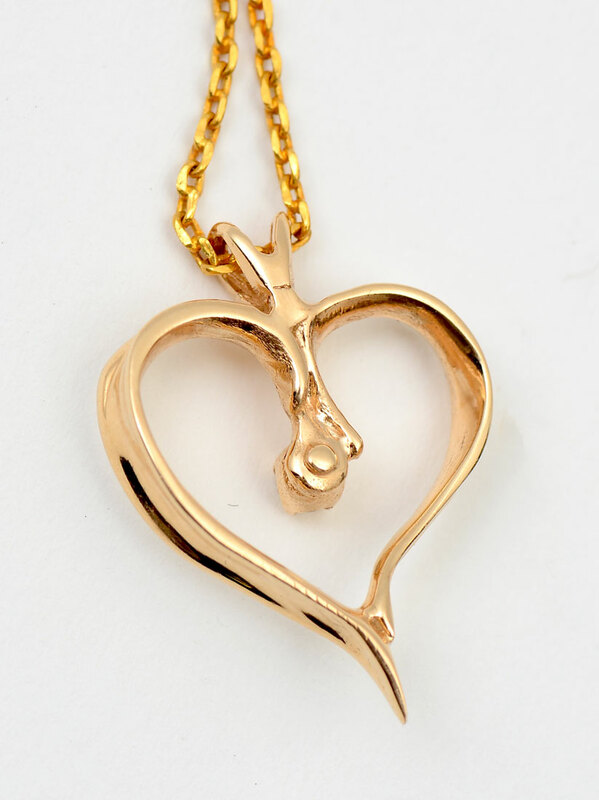 14K DIAMOND HEART PENDANT ON 24K CHAIN: 14K yellow gold heart contains 1round brilliant cut diamonds. WEIGHT: .05 Ct. Approx. Rated SI in clarity and H-I in color. 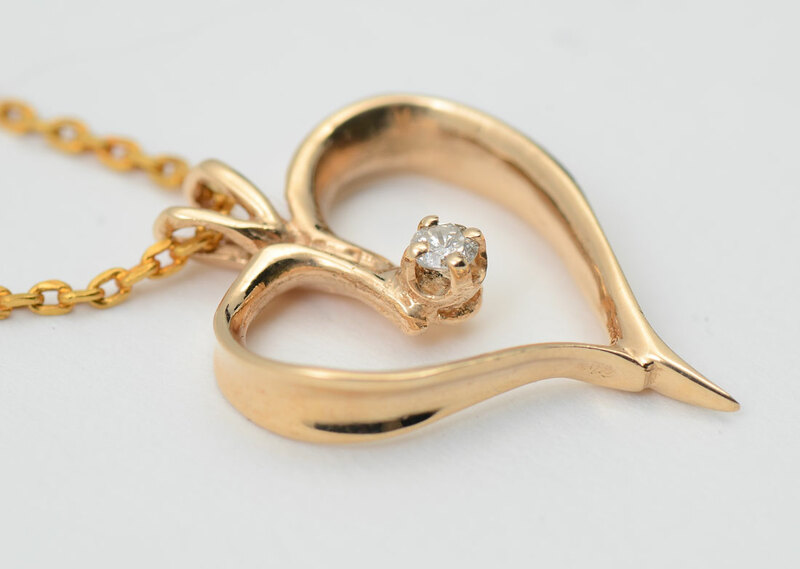 The diamond is prong set. 14K Weight: 2.0 grams. 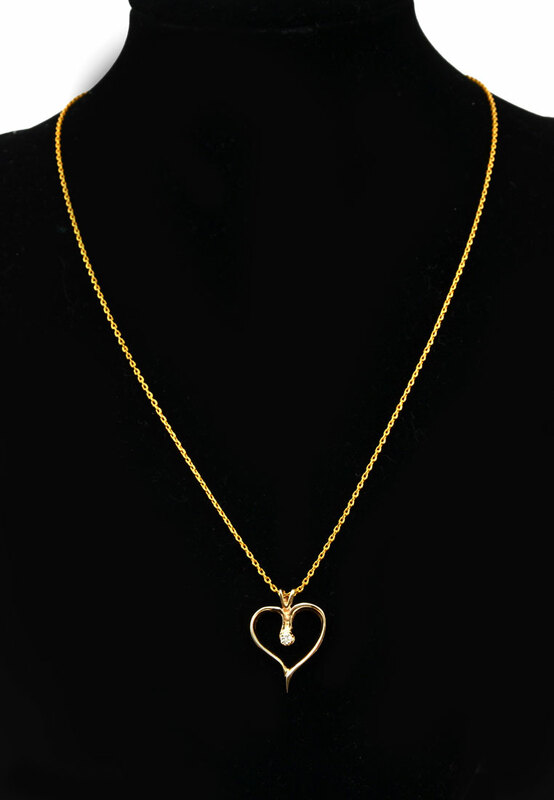 18'' 24K chain. 24K weight: 3.7 grams.